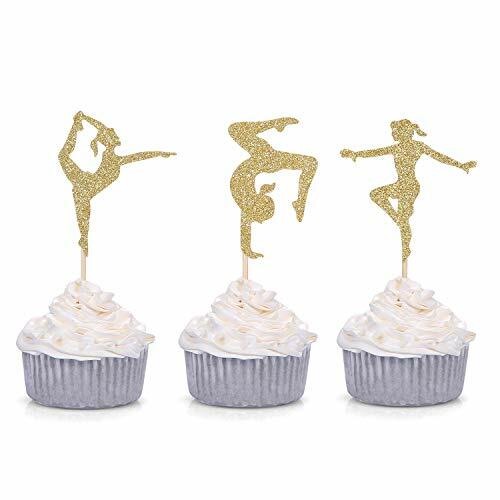 Perfect decorations for cupcakes and food on baby shower gym theme party baby's birthday. Material: gold glitter card stock and wood picks. Package includes 24 pieces of picks, including 3 patterns and 8 pieces each..